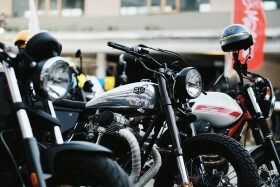 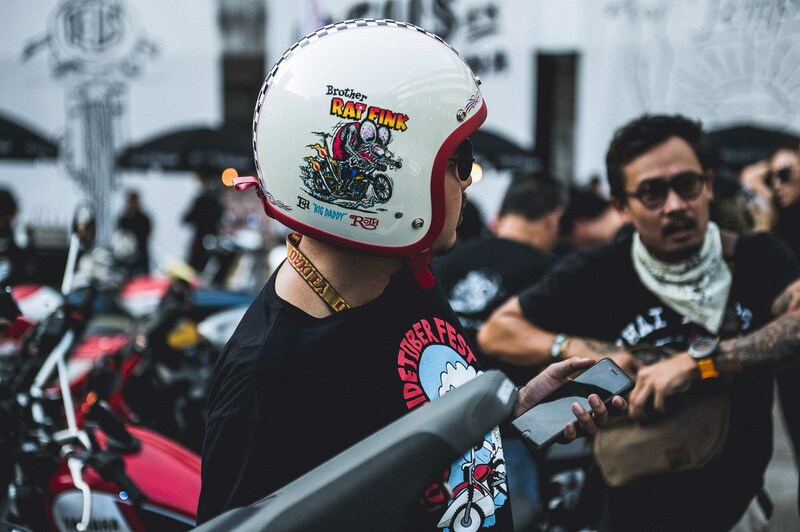 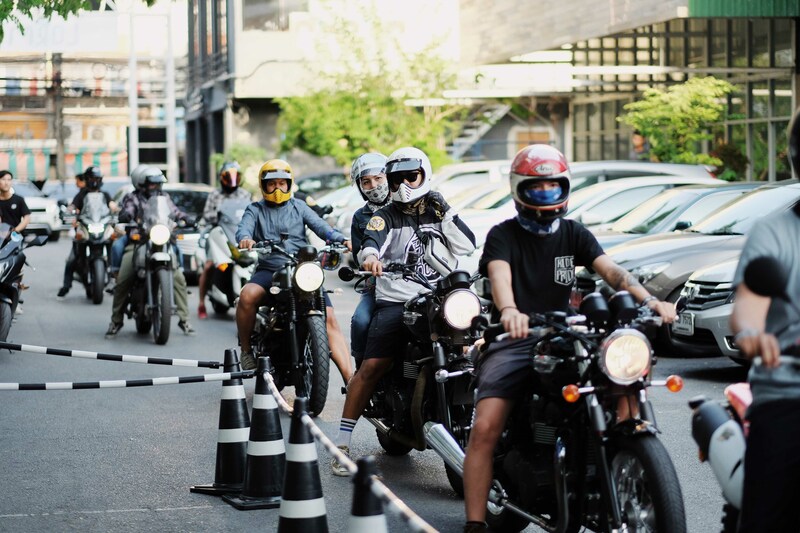 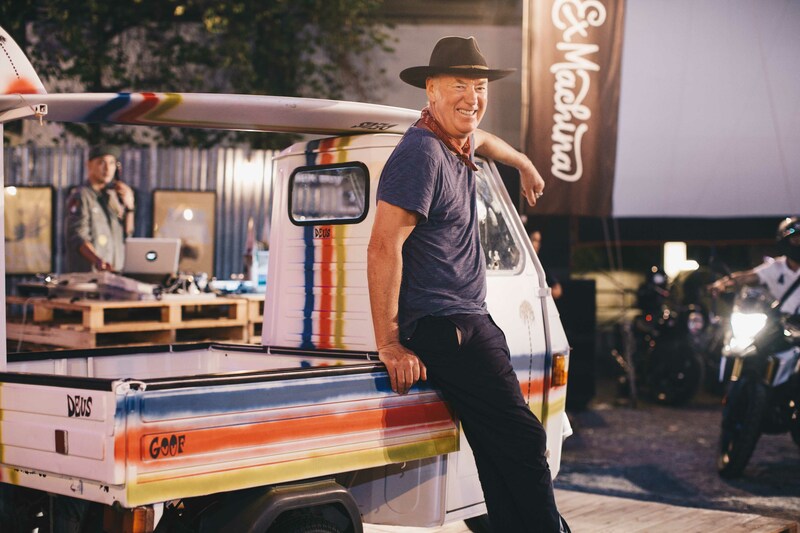 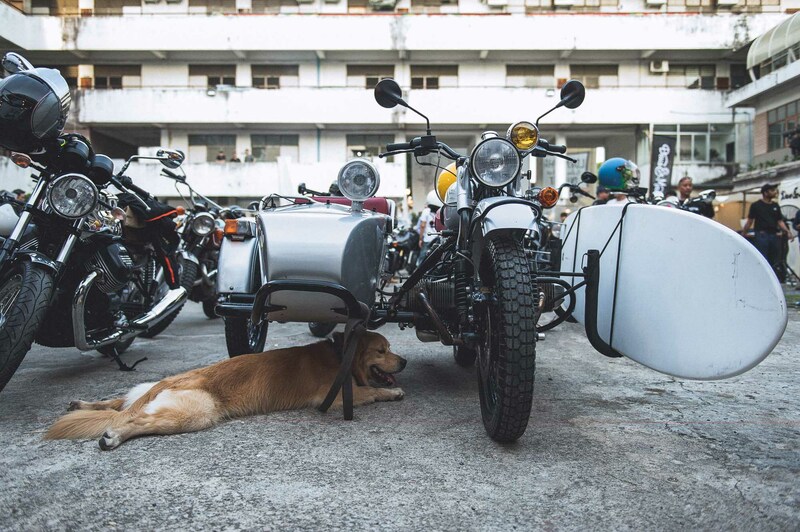 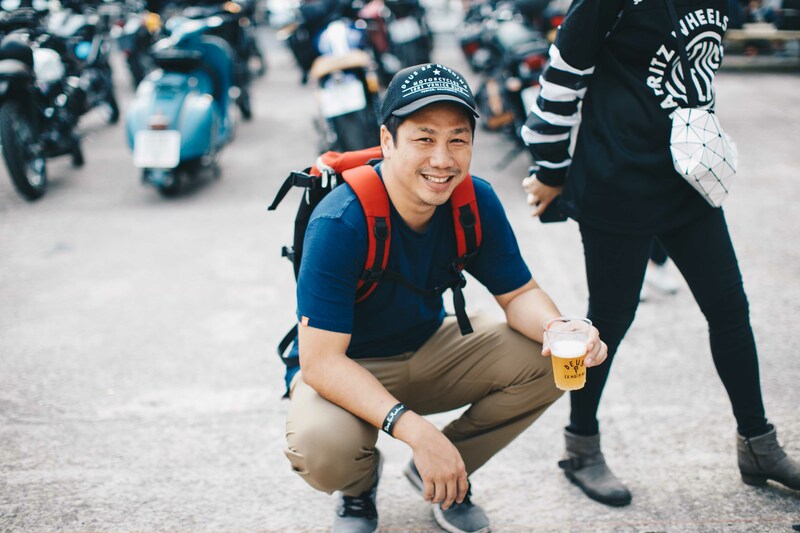 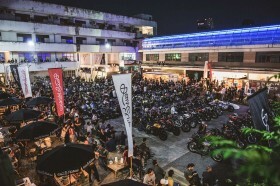 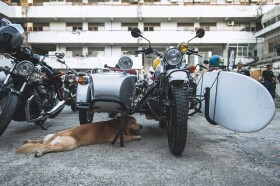 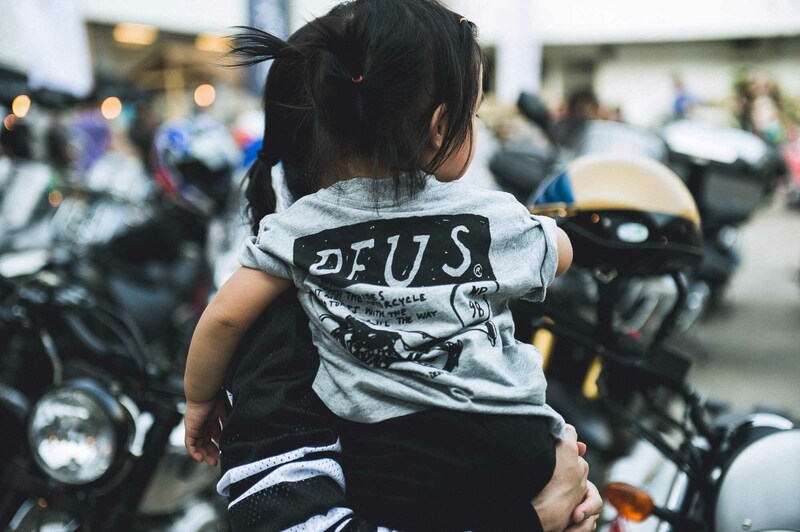 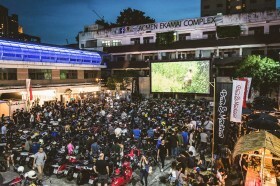 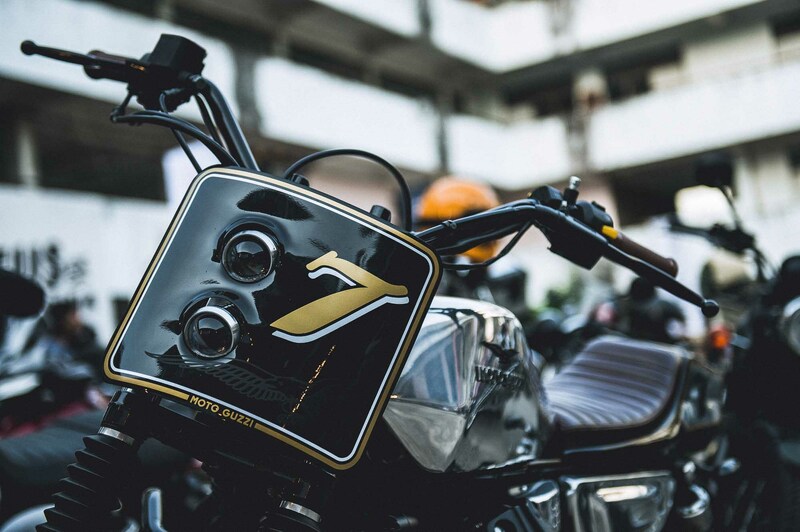 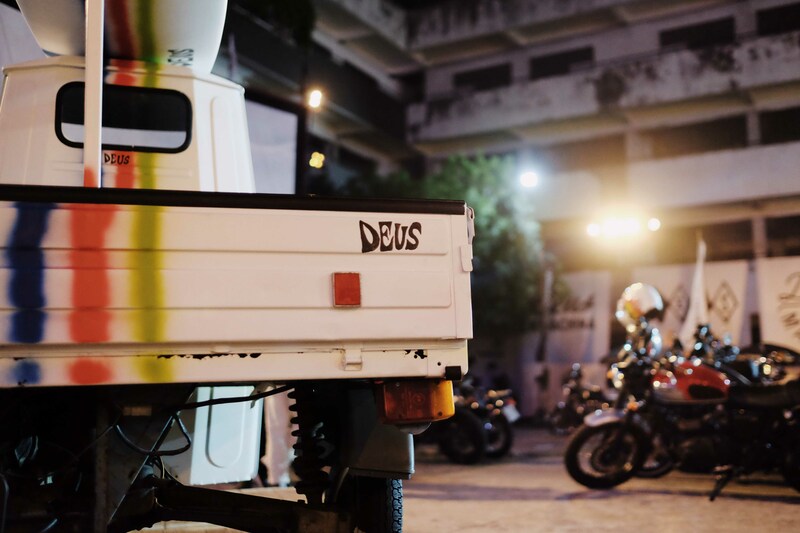 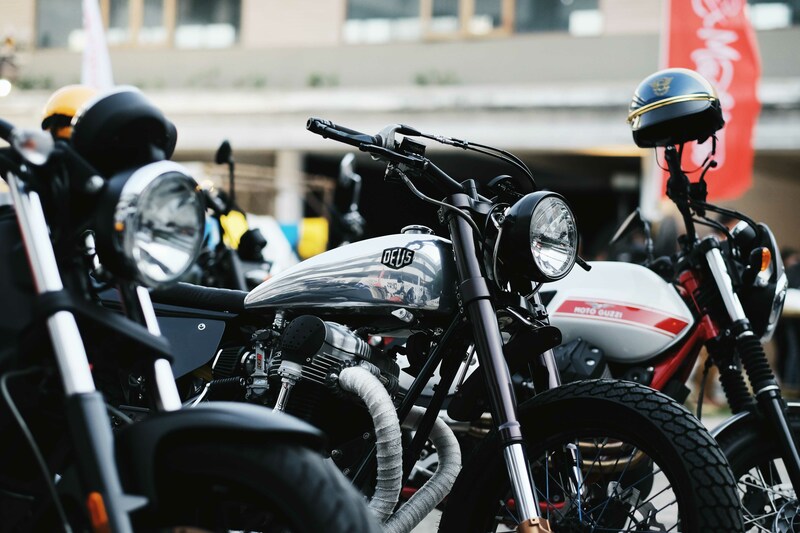 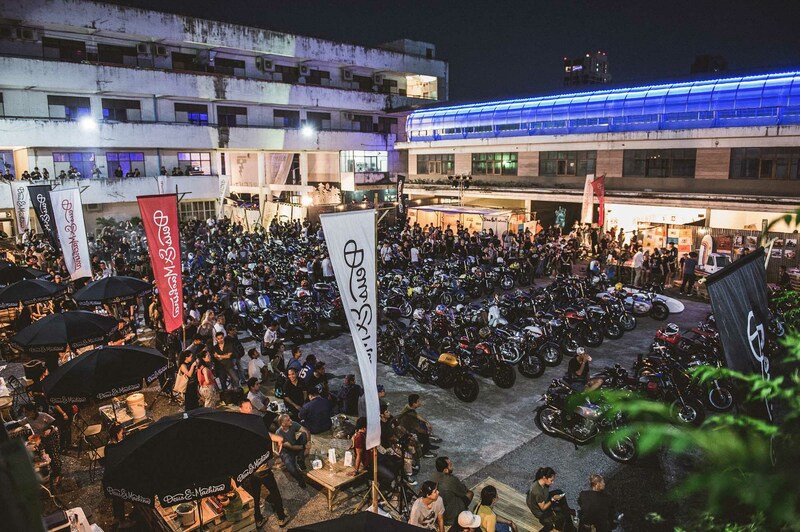 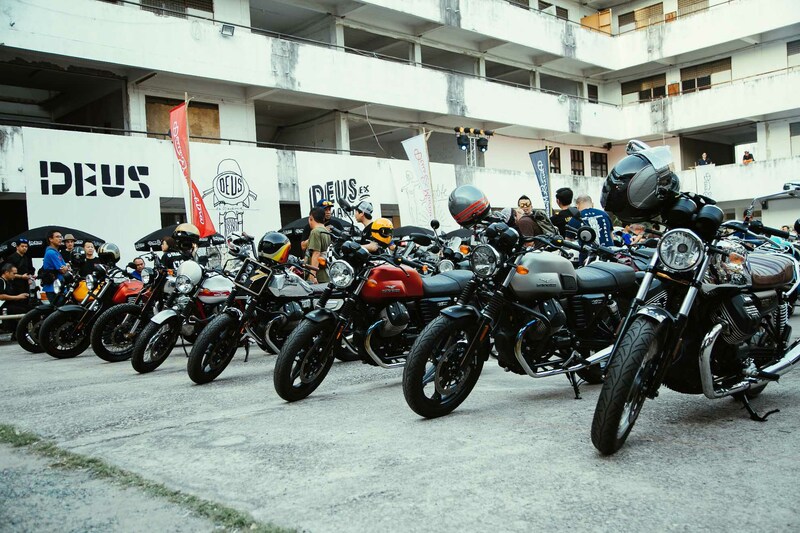 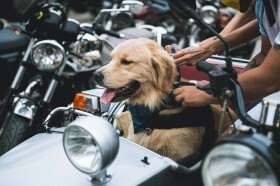 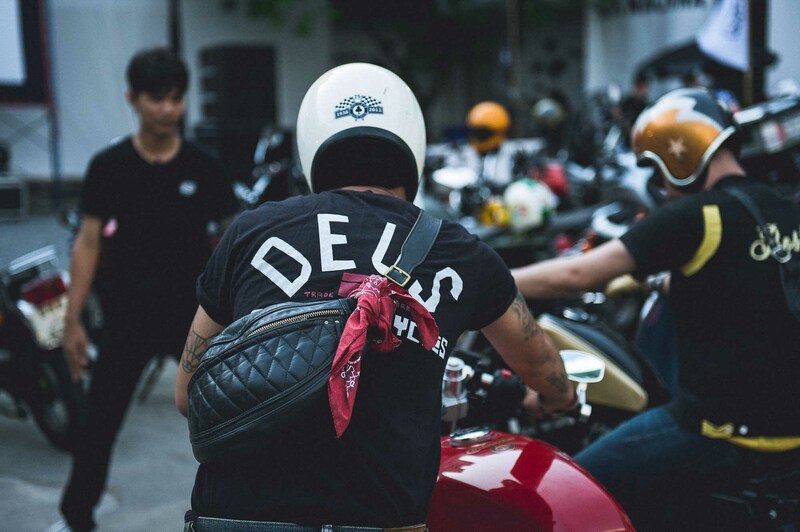 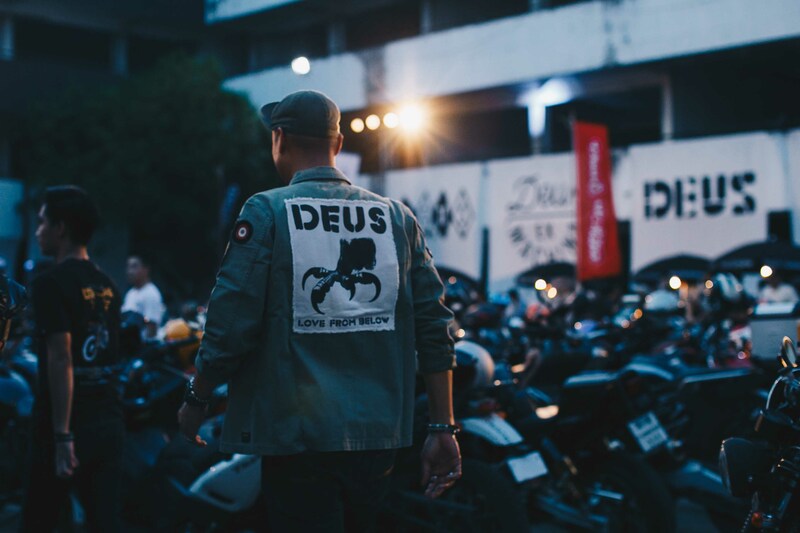 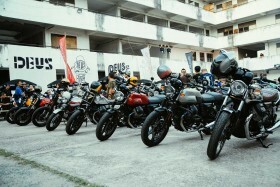 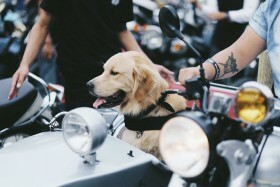 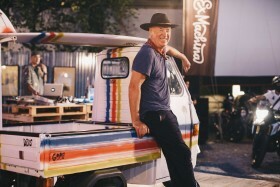 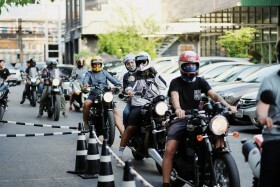 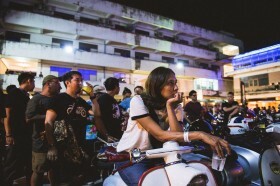 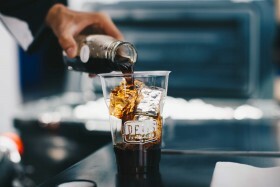 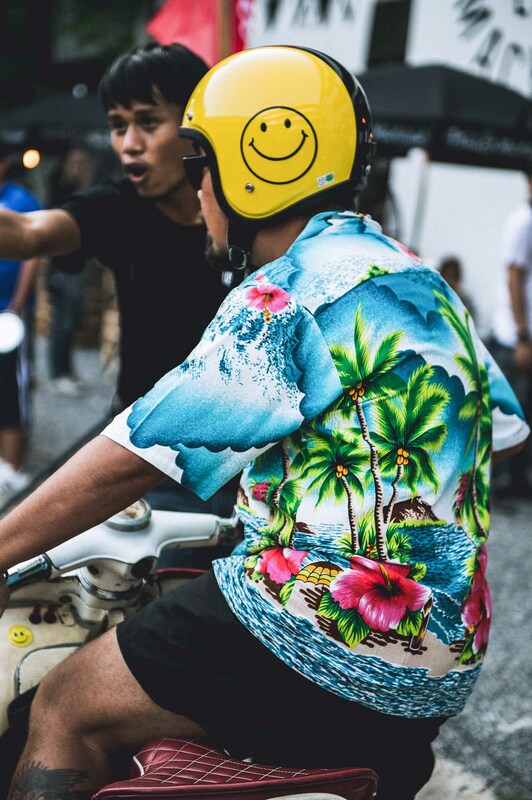 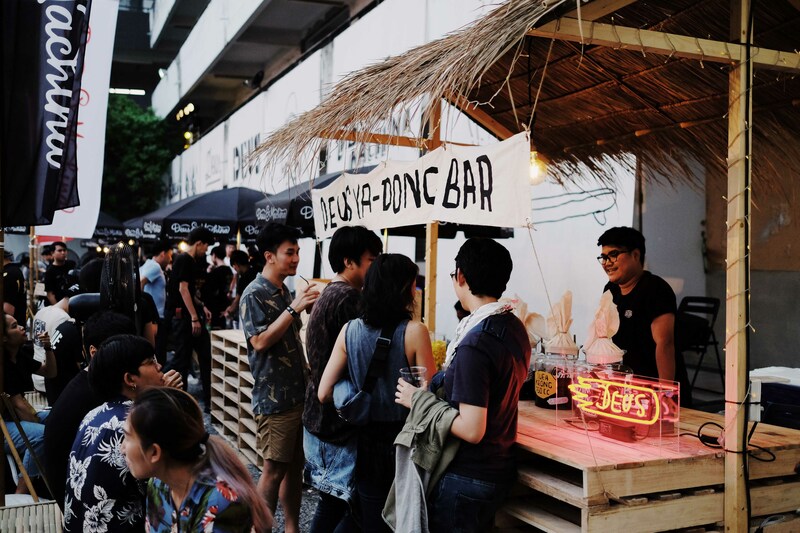 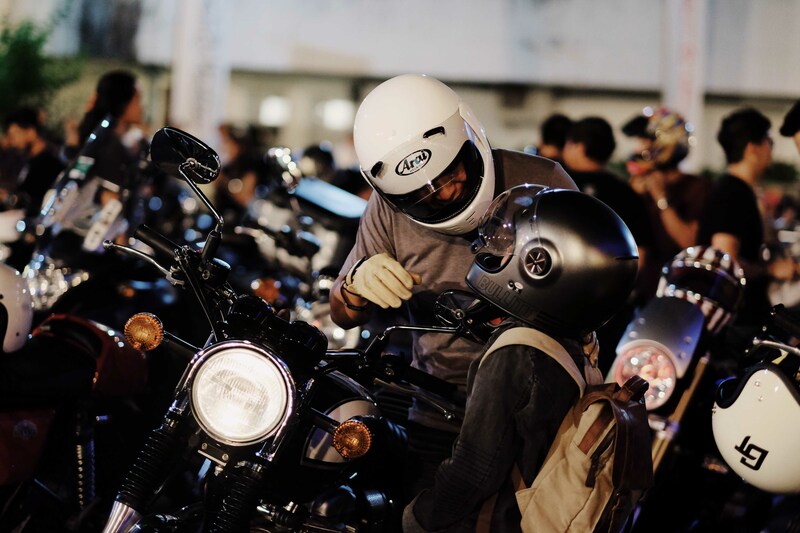 Deus and Moto fans alike were invited to enjoy a night of movies, food and art, in the most Bangkok way we could think of. 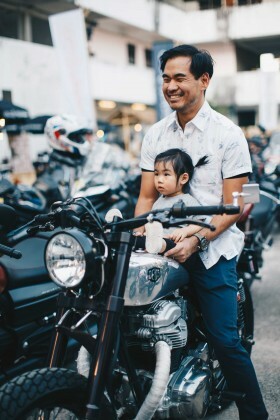 Back in the World War deuce, hoping on your smoky Vespa and scooting down to the local ride in cinema was the thing to do ya see. 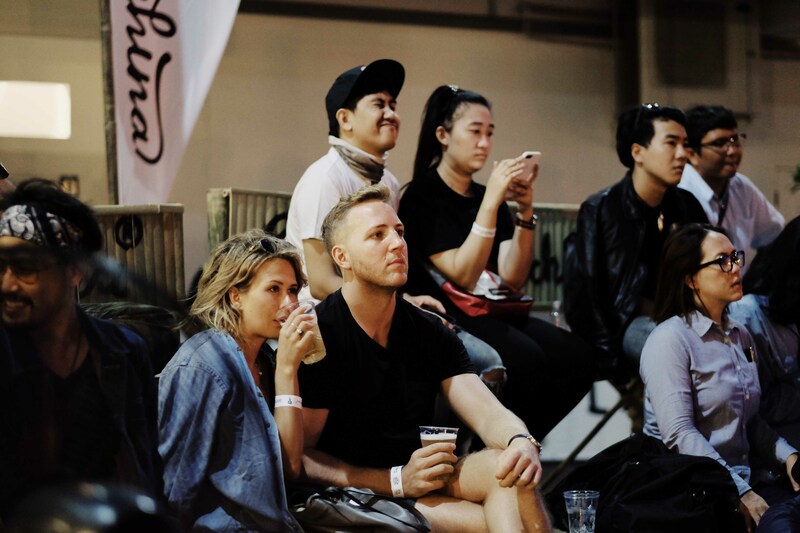 You could seat back, with your feet up on the bars and enjoy the newest moving pictures. 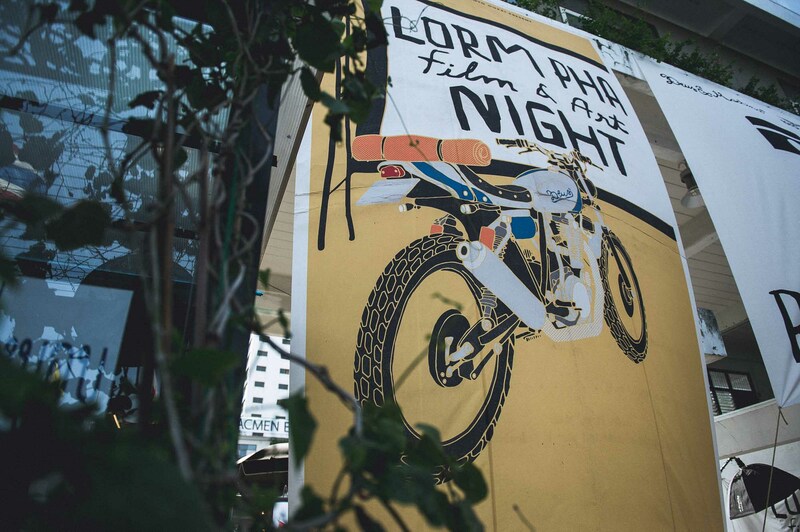 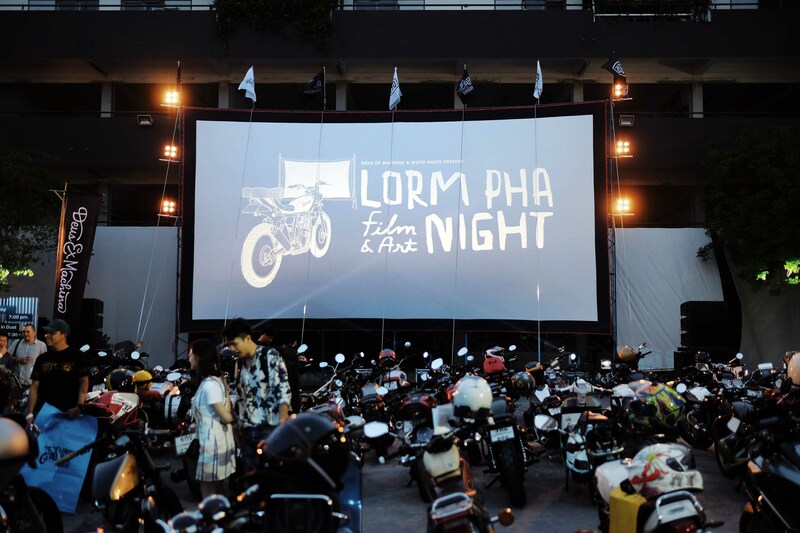 Well, why not bring that back with a twist, In cahoots with the fine folks at Moto Guzzi, we brought the people of Bangkok, Lorm Pha Film & Art Night. 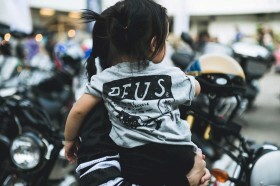 With a vast catalogue of Deus films at hand, there was no shortage of quality viewing. 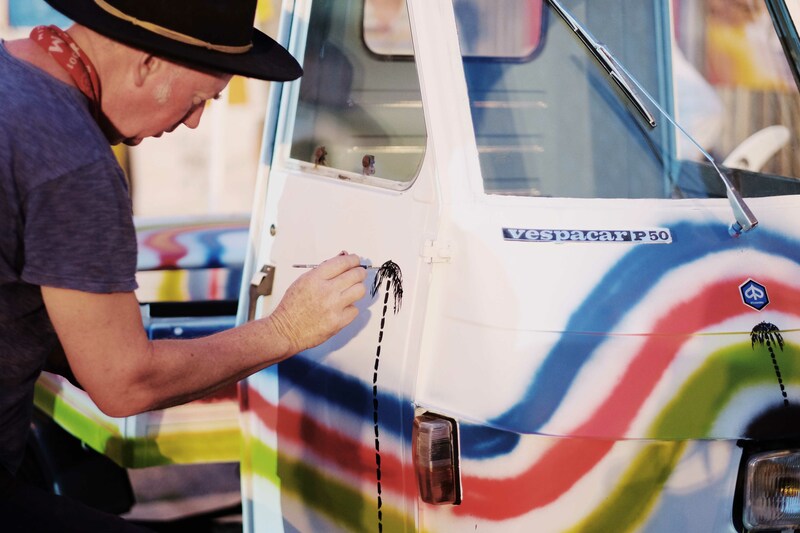 The evening kicked off with some live art by the Goof himself, Mr Paul McNeil, Who is known for his iconic brush strokes. 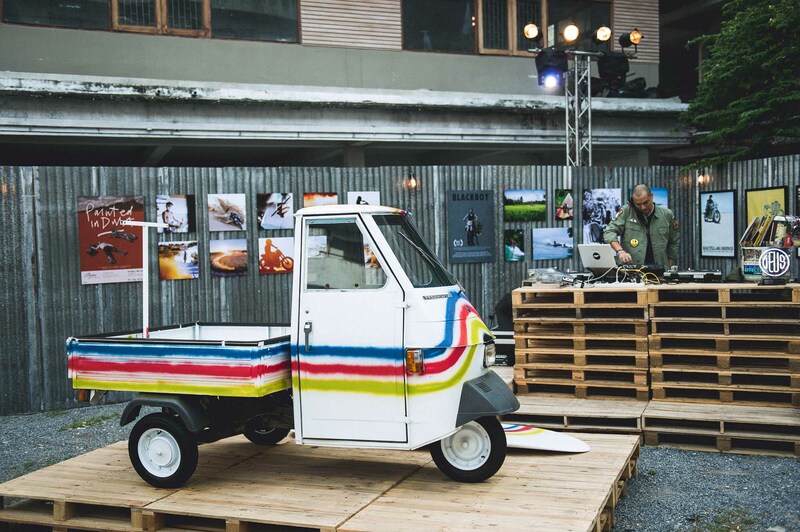 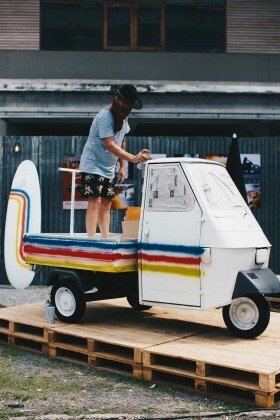 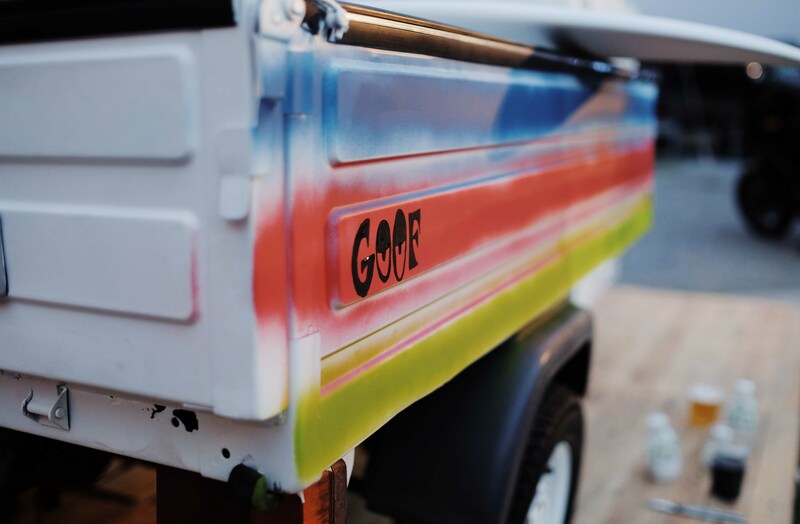 Putting his personal touches on a local favourite, the Piaggio Ape. 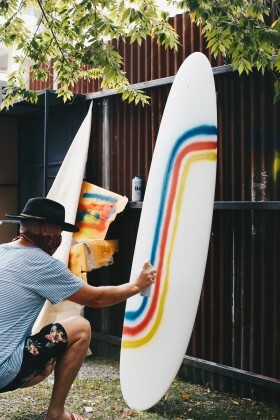 And of course a surfboard, Paul kinda has a thing for painting boards. 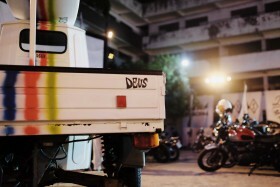 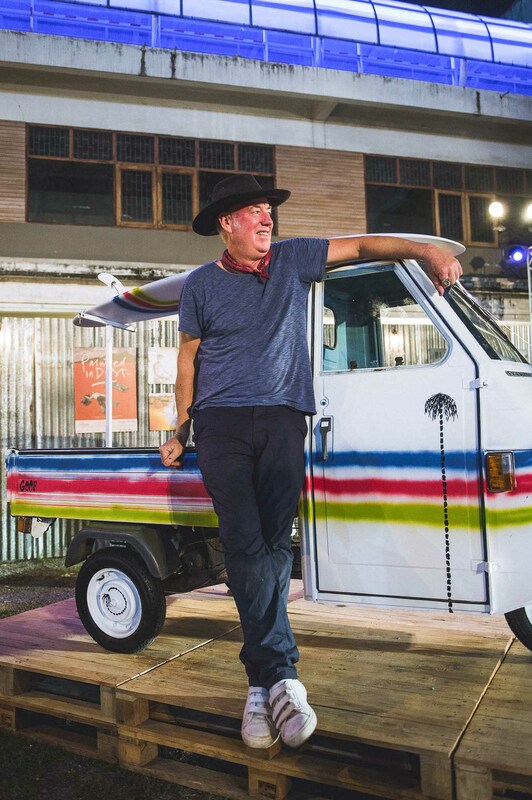 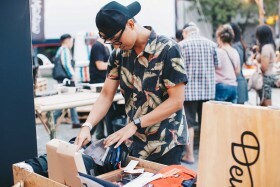 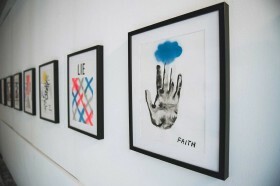 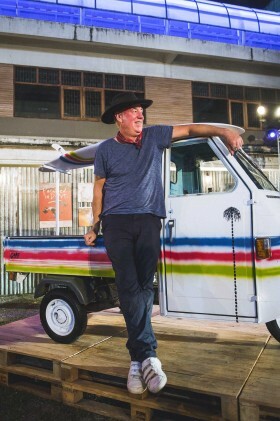 Along with local drinks and delights, Deus art pieces sidelined the makeshift theater. Surrounding hundreds of bikes and their riders, watching original Deus flicks like ‘Painted in Dust’ and ‘Blackboy’, to name a few. The event pushed long into the evening with turntables spinning tunes after tunes, helping sweat away the excess sugar from the juice bags. It’s safe to say that the folks in Thailand now how to throw a party, even if the pretense if simply to watch a couple of movies on your two-stroke!